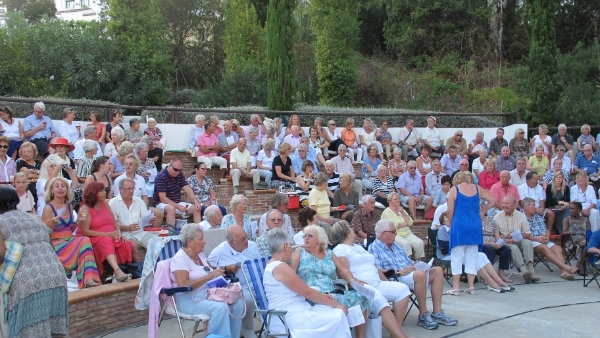 AGE Concern Estepona & Manilva were given a cash boost by the International Theatre Studio. ITS hosted a Play in the Park event in Parque Leonera, Benahavís in September, performing. a one-act play ‘What’s for Pudding’ and raising €1,985 for Age Concern who also raised €515 from a raffle at the event. The cheque was presented to Eileen Dry, President of Age Concern, by Fred Wallis, Production Manager of ITS, and Kate Jackson, actress and ITS Committee member at the charity’s Drop-In-Centre in Estepona. Age Concern, Estepona and Manilva, now has a new website linked to the Age Concern Espana main web site. Press and Publicity Officer, Tony Aldous, says that being linked to the main site gives consistency across all of the Age Concern Organisations in Spain in how information is presented. He says that thanks to the efforts of Kim Stollard who has updated the main web site and who maintains the site, the new approach is already winning approval from people across the area. To reach the main site use www.acespana.org and follow the link to Local Organisations.